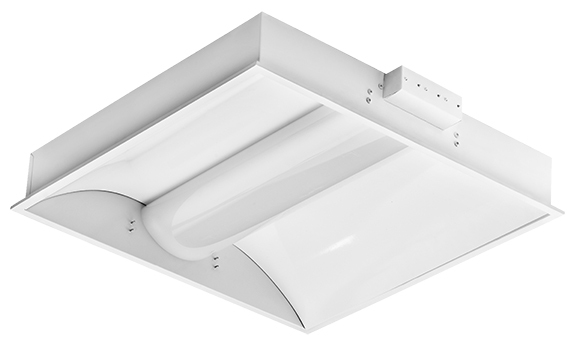 The EFL Troffer LED Fixture is a universal, sturdy structure for retrofit or new construction that is aesthetically designed to support one, two or three of our direct-wire T8 LED lamps. The steel body provides a solid, reliable, installation. 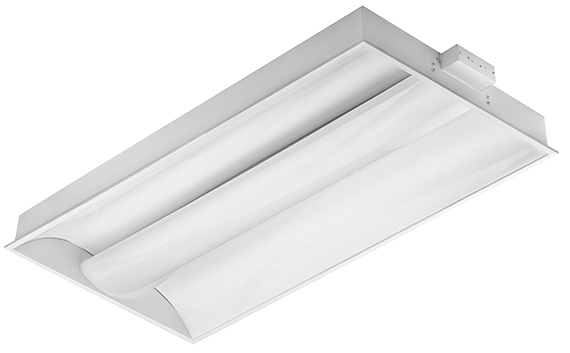 The troffers are available in 2’ x 2’ and 2’ x 4’ configurations provide top-of-the-line lumen output out of the complete fixture while supporting the ease of maintenance of a tube-based fixture. LED lighting is the best choice for schools that want to foster a safe, healthy, comfortable, and “green” environment for their students and teachers. LED Lighting inherently flickers, however, lighting products that remove flicker offer optimal light output as well as reduce migraines, eye strain, and fatigue. Find a complete list of all common terms and definitions associated with LED technology. Have questions about Energy Focus LED lighting products? Contact us today for information and support for your LED lighting products and purchases. © 2019 Energy Focus. All Rights Reserved.